Advocacy is a powerful tool underutilized by nonprofits to advance their respective missions. While advocacy covers a broad array of activities, nonprofits that are subject to restrictions on lobbying or political campaign intervention activities often avoid other areas of advocacy because of fears they may be violating those restrictions. This is unfortunate and partly due to a lack of clear guidance and bright lines on what is and is not permitted. While different types of tax-exempt organizations are subject to different limitations, we'll focus this post on the advocacy of 501(c)(3) public charities. Request for technical advice or assistance: This communication must be made in response to a written request by a legislative body or a legislative committee or subcommittee and made available to all members of the requesting body. Making available nonpartisan analysis, study, or research: This communication can refer to or reflect a particular view on specific legislation, but if it (a) provides a sufficiently full and fair exposition of the underlying facts, (b) is made available, and (3) doesn’t directly encourage a recipient to take action, then it is not considered lobbying. Examinations and discussions of broad social, economic, and similar problems: These communications can address the public, members of legislative bodies, or governmental employees on general topics which are the subject of specific legislation, but must not refer to specific legislation or directly encourage the recipients to take action. Self-defense communications: These communications with a legislative body address matters that might affect the existence of the organization, its powers and duties, its tax-exempt status, or the deduction of contributions to the organization. Such communications, even if they constitute lobbying, are not counted against any lobbying limits. Certain communications with members: A charity may inform its members of the issues and its stance on a specific piece of legislation, without encouraging them to contact their elected officials. Certain communications with the general public: A charity may communicate with individuals or groups that do not refer to a specific legislations and/or issues. Certain direct communications with a legislative body: A charity may inform a legislator how an agency grant received has helped its constituents or educate a legislator about the effects of a policy on her or his constituency. Communications with non-legislative bodies: A charity generally may contact an executive or administrative body on issues regarding implementation of its regulations and/or policies. Fact sheets: A charity may develop and distribute fact sheets that educate the general public on important issues that impact their community but that do not include a call to action encouraging the recipient to take action with respect to specific legislation. Litigation activity: A charity may engage in litigation to obtain a favorable judicial interpretation of the law. Lobbying is generally defined as activities that attempt to influence, whether in direct support of, or opposition to, specific legislation. Public charities are permitted to lobby within limits. Accordingly, where lobbying would be an effective and efficient strategy to further a charity’s mission, the charity should strongly consider incorporating lobbying in its overall plan. Often, this never happens because leaders of the charity are concerned about violating the prohibition against substantial lobbying imposed by IRC §501(c)(3). But the amount of lobbying that is permitted without crossing the substantiality threshold can be very generous for charities that make the 501(h) election, something we generally recommend for all but the largest charities. Substantial Part Test. Under this test, little guidance is offered with respect to what activities are considered lobbying and how much lobbying is substantial. In one early case, devotion of less than 5% of an organization’s time and effort was found to be insubstantial. However, the test appears to have evolved with later cases and it generally is thought to consider all the facts and circumstances of an organization’s lobbying activities (including cash expenditures, volunteer efforts and donated resources). Accordingly, charities must document all of their lobbying activities and expenses. If a charity engages in substantial lobbying in any one year, it may have its tax-exempt status revoked. In addition to revocation, violation of the substantial part test may result in the imposition of (i) a 5% tax on the organization on all lobbying expenditures, and (ii) a 5% tax on organizational managers (e.g., directors and officers) who permitted such expenditures knowing that it would jeopardize the organization’s tax-exempt status. 501(h) Expenditure Test. Under this test, which is available to most public charities (churches being a significant exception) that make the §501(h) election (electing charities) by filing Form 5768 (http://www.irs.gov/pub/irs-pdf/f5768.pdf), an otherwise qualified public charity will not be denied exempt status as a §501(c)(3) organization because of substantial lobbying so long as its total lobbying expenditures and grass roots expenditures do not normally exceed certain defined limits. Accordingly, an electing charity is not subject to limits on lobbying activities that do not require expenditures (e.g., unreimbursed lobbying by volunteers). • 5% of the remaining Exempt Purpose Expenditures up to a total cap of $1 million (reached when total Exempt Purpose Expenditures are at $17 million). • 25% of the Total Lobbying Expenditures Limits. If an electing charity exceeds either the total lobbying or grass roots expenditures limit in any one year, it must pay an excess lobbying expenditures tax equal to 25% of the excess. If an electing charity exceeds both limits in any one year, it must pay 25% of whichever excess is greater. An electing charity will be subject to revocation of its tax-exempt status if, over a four-year period, either its total lobbying or grassroots expenditures exceed the appropriate aggregated annual limit over the period by more than 50%. A Direct Lobbying Communication is any attempt to influence legislation through communication with (A) any member or employee of a legislative body or (B) any other government official or employee who may participate in the formulation of legislation, but only if its principal purpose is to influence legislation, and it reflects a view on specific legislation (proposed or pending law or bill). A Grassroots Lobbying Communication is any attempt to influence legislation through an attempt to affect the opinion of the general public (or any segment), but only if it reflects a view on specific legislation and encourages the recipient to take action (contact legislators) with respect to such legislation. Legislation includes action by a legislative body (e.g., Congress, county board of supervisors) or by the public in a referendum, ballot initiative, constitutional amendment or similar procedure. Exempt Purpose Expenditures include all amounts a charity expends to accomplish its exempt purpose (e.g., program expenses, administrative overhead expenses, lobbying expenses, and straight-line depreciation of assets used for an exempt purpose). They do not include fundraising expenses of a charity’s separate fundraising unit or an outside fundraiser, capital expenditures, unrelated business income expenses, nor investment management expenses. Nonpartisan analysis, study or research, which may advocate a particular position or viewpoint so long as: (a) there is a sufficiently full and fair exposition of the pertinent facts (and not just unsupported opinions) to enable the public or an individual to form an independent opinion or conclusion; (b) the distribution of the results is not limited to, or directed toward, persons who are interested solely in one side of a particular issue; and (c) subsequent use does not cause it to be treated as a grass roots lobbying communication (e.g., direct encouragement for recipients to take action within 6 months). Examinations and discussions of broad social, economic, and similar problems; provided that: (a) they do not address themselves to the merits of a specific legislative proposal, and (b) they do not directly encourage recipients to take action with respect to legislation. Technical advice or assistance provided to a governmental body or committee in response to a written request from such body or committee. Communications pertaining to self-defense by the organization, to a legislative body or its representatives, and with respect to a possible action by such legislative body that might affect the existence of the organization (or an affiliate), its powers and duties, its tax-exempt status, or the deductibility of contributions to the organization. Under this exception, a charity may similarly make expenditure in order to initiate legislation if such legislation concerns the matters listed above. For more information on the 501(h) election, see Worry-Free Lobbying for Nonprofits: How to Use the 501(h) Election to Maximize Effectiveness (Alliance for Justice). Public charities are prohibited under 501(c)(3) from engaging in any political campaign intervention activities. In simple terms, a 501(c)(3) organization may not directly or indirectly engage in or sponsor any activity that supports or opposes any candidate for public office. A “candidate” for purposes of this prohibition includes “an individual who offers himself [or herself], or is proposed by others, as a contestant for an elective public office…”. The prohibition applies not only to declared candidates, but also to third-party movements and efforts to encourage or discourage someone from running for office. “Public office” for these purposes refers to any position that is filled by a vote of the people. This includes elected offices at the local, state, and federal level, as well as party nominations, and is not limited only to partisan positions. However, it does not extend to appointed public official positions, such as some judges and executive nominees (although note that activities related to such appointments may constitute lobbying if the appointments are subject to legislative confirmation). The prohibition on election intervention includes publishing or distributing written statements or making oral statements on behalf of or in opposition to a candidate, including on social media. It also includes using any of the organization’s resources to support or oppose a candidate, such as by making a contribution to a campaign, preparing a research report for the use of only one campaign or certain campaigns, or sharing the organization’s mailing list with a specific campaign for free. However, it generally also includes less obvious activities, such as coordinating activities with a campaign, distributing campaign materials at an organizational event, or using code words in a communication to refer to a candidate other than by name. If a 501(c)(3) organization engages in any amount of prohibited electioneering, it runs the risk of having its tax-exempt status revoked by the IRS, either permanently or for a specified period during which the activities occurred. The IRS also has the authority to impose a tax of 10 percent of the expenditure associated with the electioneering activities on the organization and a tax of 2.5 percent on organizational managers who knowingly and willfully approved a prohibited expenditure, up to a total of $5,000. If the IRS does impose either tax and the expenditure is not corrected within the appropriate period, an additional tax of 100 percent of the prohibited expenditure may be imposed on the organization and an additional tax of 50 percent may be imposed on the individual managers, up to a total of $10,000. Although 501(c)(3) organizations must be careful to avoid engaging in prohibited campaign intervention, not all election-related activities are completely prohibited for such organizations. Note that the IRS uses a facts and circumstances test and looks to factors such as content, timing, and scope. Thus, organizations should proceed with caution when they engage in political or election-related activities. 501(c)(3) organizations are permitted to engage in issue advocacy which is advocacy related to the charitable mission and the charity’s agenda (e.g., gun-safety, sustainable practices). However, issue advocacy may cross into prohibited political campaign activity under certain circumstances, especially during election years. For example, an organization that engages in advocacy related to a particular issue only during election years and close to the election may be viewed by the IRS as engaging in political campaign activity even if the organization does not mention any candidate names or party affiliations. By contrast, it is a much more favorable set of facts and circumstances for the organization if the organization has a pattern of engaging in such advocacy during non-election years using the same means and scope. Examples of permissible election-related activities include voter education such as voter guides and candidate debates; voter registration such as get-out-the-vote drives; and candidate education such as public policy reports created on behalf of the organization distributed to all candidates. The overarching theme of the electioneering prohibition that 501(c)(3) organizations be neutral and nonpartisan with respect to publicly elected offices must be a main consideration when undertaking any election-related activity. Thus, for example, voter education guides should not rank candidates; voter registrations should not be based on party affiliation; and candidate education should not be done in response to a candidate’s request or show favoritism to certain candidates. Organizations should become knowledgeable about the 501(c)(3) prohibition on electioneering and when unsure, seek the assistance of nonprofit legal experts. Who Should Engage in Advocacy? All of us who work for nonprofits are advocates of our organizations and the communities they serve. Fundraisers know this. But the role of advocacy needs to be further embedded on all levels of a nonprofit starting with the board. We should also ensure we’re communicating not only with prospective donors but also with the broader public. And we can’t forget about policy makers who create the rules and the playing field we operate in. Let’s remember that all of the most important public policies we hold dear to us – civil rights, women’s rights, disability rights, education, health, religion, environmental protection, animal welfare, etc. – result from strong nonprofit advocacy and not just individual leaders. NEO Senior Counsel Erin Bradrick wrote this article about the move to allow churches to endorse political candidates and engage in other political activities. The argument often presented for repeal of the Johnson Amendment asserts that it prohibits religious institutions and their leaders from speaking freely on political candidates and elections in violation of the First Amendment. However, this isn’t entirely accurate. The more accurate statement is that religious institutions that wish to retain their tax-exempt status under Section 501(c)(3) are prohibited from speaking freely with respect to political candidates and elections if such speech constitutes intervention in a political campaign. Religious institutions (or other exempt entities) that are willing to cede their tax-exempt status under Section 501(c)(3) are free to engage in as much political speech and campaign intervention as they would like (subject, of course, to any other applicable election laws). NEO attorneys Michele Berger and Gene Takagi wrote this article on crowdfunding published in The Nonprofit Quarterly on June 28, 2016. As was evident after the horrific shooting in Orlando on June 12th, crowdfunding has become the most visible, and arguably the most effective, way to quickly raise money and awareness for a charitable cause triggered by an event. The Nonprofit Quarterly previously reported that a single crowdfunding campaign to support the Orlando victims raised $4 million from more than 87,000 people within a day after the attack. And five days later, reportedly, more than 300 crowdfunding campaigns raising $6.2 million for victims of the shooting were set up on GoFundMe, which is just one of more than 2,000 crowdfunding websites. However, while the magnitude and reach of crowdfunding are substantial, there remain many misperceptions and issues to be understood and managed by nonprofits, donors, and regulators. NEO Managing Attorney Gene Takagi wrote this article on the new final regulations on program-related investments that will hopefully stimulate this alternative form of philanthropy. NEO Senior Counsel Erin Bradrick wrote this article about California AB 2855 and the dangerous trend of compelled nonprofit speech it could signal. ... AB 2855 was amended in early April to instead require that all subject charitable nonprofits include a “prominent link” on the home page of their websites, and a corresponding web address on all documents soliciting charitable contributions, that directs visitors to the California Attorney General’s website. The amended version of AB 2855, in turn, requires the Attorney General to “develop and publish on the Attorney General’s Internet Web site, which contains information about charities, informational materials containing consumer rights and protections and charity resources to allow donors to become informed about a charity before making a decision to give” by no later than July 1st, 2017. It is very common for a country, state/province, and/or city/municipality to require a foreign nonprofit to register with a governmental agency and be subject to its regulations. Operating without proper registration can result in a warning, a fine, or, in a worst case scenario (as might be the case in Egypt), imprisonment. It makes sense that a country would want some identification of and control over foreign organizations operating within its borders. It also makes sense that a nonprofit would want to look into applicable requirements of operating in a foreign country and be compliant with such requirements. For foreign nongovernmental organizations (NGOs) operating in the United States, there are multiple levels of qualifications, registrations, and other filings to be considered. For example, in California, a foreign charitable NGO would need to (1) qualify to do business in the state by filing with the Secretary of State, (2) register with the Attorney General’s Registry of Charitable Trusts, and (3) register with the city or county, as required under local laws. If it wanted tax-exemption, it would need to apply for recognition of exemption from both the IRS and California Franchise Tax Board. But if it wanted to be able to receive deductible charitable contributions, it would be out of luck. Only domestic 501(c)(3) organizations are eligible to receive deductible charitable contributions. So, it may make sense for a foreign NGO to set up a domestic “friends of” organization instead of operating itself in the United States. One big problem with complying with foreign registration requirements is the difficulty in finding then deciphiring the requirements in a particular country at various levels. And in some countries, it may be incredibly burdensome and time-consuming to complete all of the registration requirements, if it’s even possible. The NGO Law Monitor on the website of the International Center for Not-for-Profit Law (“ICNL”) serves as a good introductory resource for what may be required in various countries. For certain activities like the provision of education or healthcare, charities operating abroad must consider the applicable licensing requirements. Simply setting up shop and operating a school or health clinic without proper licensing may result in harsh consequences for the charity and its staff and volunteers. U.S. Executive Order 13224, which President Bush issued shortly after the 9/11 terrorist attacks, blocks property and prohibits transactions with persons and entities who commit, threaten to commit, or support terrorism (“Prohibited Persons”). Donations of articles, such as food, clothing, and medicine, intended to be used to relieve human suffering are included among the prohibited transactions with Prohibited Persons, who include those on the Specially Designated Nationals List regularly updated by the Office of Foreign Assets Control (“OFAC”). But strict compliance is challenging particularly where there is somebody on the SDN List who has a very common name. The Patriot Act gives the executive branch largely unchecked power to designate any group as a terrorist organization. Once designated, a group can have all of its materials and property seized and its assets frozen, “pending an investigation.” Assets can be taken even if the organization faces no criminal charges. Once all assets are seized and frozen, an organization can be denied access to evidence (the organization’s computers, files, documents, etc.) that might prove its innocence; the government has authority to withhold this information for “national security” reasons. In response to concerns of charities and foundations on how to comply with the anti-terrorist laws, the Department of the Treasury issued Anti-Terrorist Financing Guidelines: Best Practices for U.S.-based Charities first in 2002 and a revised version in 2006. A coalition of more than 40 nonprofit organizations led by The Council on Foundations vigorously objected to the original version and produced its own Principles of International Charity. A Resource Guide to the U.S. Foreign Corrupt Practices Act is the Department of Justice’s and Securities and Exchange Commission’s detailed compilation of information about the FCPA. OFAC administers a number of different sanctions programs. The sanctions can be either comprehensive or selective, using the blocking of assets and trade restrictions to accomplish foreign policy and national security goals. Among the countries subject to certain sanctions are Burma, Cuba, Iran, Libya, North Korea, Somalia, Sudan, Syria, and Zimbabwe. See Sanctions Programs and Country Information. American nonprofits must be careful not to violate any restrictions against the transfer of assets to a sanctioned country or operation in a sanctioned country without an appropriate license from OFAC where it is necessary. See Guidance Related to the Provision of Humanitarian Assistance by Not-For-Profit Non-Governmental Organizations (OFAC). An FBAR must be filed annually by each United States person having an interest in, or a signature authority over, any financial account in a foreign country if the aggregate value of these accounts exceeds $10,000 at any time during the calendar year. FBAR reports are due by June 30 of the year following the year which the account holder meets the $10,000 threshold. If your organization meets the requirements above, then at least one FBAR must be filed on behalf of the organization. In addition, one FBAR must be filed for each person with signature authority over the organization’s foreign account(s). The absolute prohibition against political intervention activities applicable under 501(c)(3) applies regardless of whether the election involves candidates for public office in the United States or in any other country. Furthermore, permissible political activities in the U.S., such as nonpartisan voter registrations and get-out-the-vote drives, may not be permissible in another country and could even constitute a crime. American charities must be careful and make sure they know the rules around political activities and lobbying in the context of the laws of each country in which they are thinking about engaging in such advocacy. American charities operating in foreign countries must be aware that the trademarks they use domestically (including their name and logo) may be infringing on another person’s or entity’s rights in another country. Having trademark rights in the United States does not mean that a charity has such rights in another country. Accordingly, before using a trademark abroad, charities should find out if such trademark is available and, if it is, how it can be protected. Insurance must also be considered as operating in a foreign country may not be a covered activity, particularly if operating without the required registrations. An American nonprofit should anticipate in advance the risks of an employee or volunteer getting hurt, getting arrested, and/or creating legal obligations for the nonprofit in the foreign country. A nonprofit may advance its charitable goals in another country by supporting the work of a local NGO qualified to operate there. Such a partnership may be merely a collaborative effort memorialized in a memorandum of understanding or more of a formal joint venture or legal partnership. There may also be a governance connection created between the nonprofit and foreign NGO. For example, the governing documents of a foreign NGO might provide an American nonprofit with the right to select one or more board members of the NGO. For an American nonprofit that desires the strongest level of governance control over a foreign NGO, a parent-subsidiary structure could be created with the American nonprofit having the right to select all of the board members of the NGO. Making grants to foreign NGOs is likely the most common way American nonprofits advance their charitable goals in another country. Private foundations must either exercise expenditure responsibility or obtain an equivalency determination in making such grants. While public charities are not subject to the same requirements, their boards are responsible for exercising reasonable care in making grants in part to ensure that the grants are not diverted from their charitable purpose. Accordingly, many lawyers representing public charities advise that they also follow the private foundation rules when making grants to foreign NGOs. The anti-terrorism and political activity issues described above should also be considered in a charity’s grantmaking policies, and OFAC’s Risk Matrix for disbursing funds and resources to foreign grantees is a helpful resource. While grantmaking may be the most common way American nonprofits support a foreign NGO partner, many also provide operational support to their partners with technical assistance and staffing. In such case, the American nonprofit may be operating in the foreign country and consequently may need to consider all of the above issues, including registration. In order to avoid operating in a foreign country and triggering the accompanying requirements, an American nonprofit may want to simply maintain a grantmaking relationship with a foreign NGO and supplement the funding with staff and volunteers who will work for the foreign NGO as agents of the NGO (not as agents of the American nonprofit). This distinction must be clear to protect such individuals from penalties for working without due authorization (which of course presumes that the foreign NGO is properly qualified and authorized). One disadvantage to take into account with this structure is the lack of protection that the American nonprofit may be able to provide through insurance where individuals are not acting as agents of the nonprofit, but as agents of a partner NGO. Many nonprofit 501(c)(3) organizations provide funds, goods, and/or services to communities outside of the United States in furtherance of their respective charitable missions. Such work is important on so many levels and is widely understood to benefit our country through the goodwill created internationally. Nevertheless, not all countries’ governments view such assistance as friendly, particularly where it supports advocacy or strengthens individuals that might oppose the status quo. American nonprofits operating abroad must be careful to understand the laws of each country in which they operate, how to comply with such laws, the risks of noncompliance, and how to best protect their employees and volunteers on the ground. We hope this general overview serves as a helpful introduction to such matters. The advice of qualified legal counsel in a foreign country will be invaluable in helping American nonprofits operate there safely. 7% came from "other" sources including dues, rental income, special event income, and gains or losses from goods sold. Nonprofit earned income can be a product of either a related and unrelated business. Generally, a tax-exempt nonprofit does not pay taxes on income from its related businesses, but it may be subject to unrelated business income taxes (UBIT) on the net income from its unrelated businesses. The term trade or business generally includes any activity carried on for the production of income [with a profit-motive] from selling goods or performing services. It is not limited to integrated aggregates of assets, activities, and goodwill that comprise businesses for purposes of certain other provisions of the Internal Revenue Code. Activities of producing or distributing goods or performing services from which gross income is derived do not lose their identity as trades or businesses merely because they are carried on within a larger framework of other activities that may, or may not, be related to the organization's exempt purposes. Business activities of an exempt organization ordinarily are considered regularly carried on if they show a frequency and continuity, and are pursued in a manner similar to, comparable commercial activities of nonexempt organizations. There are a number of modifications, exclusions, and exceptions to the general definition of unrelated trade or business. Qualified sponsorship activities. Soliciting and receiving qualified sponsorship payments is not an unrelated trade or business, and the payments are not subject to unrelated business income tax. [A qualified sponsorship payment] is any payment made by a person engaged in a trade or business for which the person will receive no substantial benefit other than the use or acknowledgment of the business name, logo, or product lines in connection with the organization's activities. “Use or acknowledgment” does not include advertising the sponsor's products or services. Dividends, interest, annuities and other investment income. All dividends, interest, annuities, payments with respect to securities loans, income from notional principal contracts, and other income from an exempt organization's ordinary and routine investments that the IRS determines are substantially similar to these types of income are excluded in computing unrelated business taxable income. Royalties. Royalties, including overriding royalties, are excluded in computing unrelated business taxable income. To be considered a royalty, a payment must relate to the use of a valuable right. Payments for trademarks, trade names, or copyrights are ordinarily considered royalties. Similarly, payments for the use of a professional athlete's name, photograph, likeness, or facsimile signature are ordinarily considered royalties. However, royalties do not include payments for personal services. Therefore, payments for personal appearances and interviews are not excluded as royalties and must be included in figuring unrelated business taxable income. Rents. Rents from real property, including elevators and escalators, are excluded in computing unrelated business taxable income. Rents from personal property are not excluded. However, special rules apply to “mixed leases” of both real and personal property. … In a mixed lease, all of the rents are excluded if the rents attributable to the personal property are not more than 10% of the total rents under the lease, as determined when the personal property is first placed in service by the lessee. If the rents attributable to personal property are more than 10% but not more than 50% of the total rents, only the rents attributable to the real property are excluded. If the rents attributable to the personal property are more than 50% of the total rents, none of the rents are excludable. Income from research. A tax-exempt organization may exclude income from research grants or contracts from unrelated business taxable income. However, the extent of the exclusion depends on the nature of the organization and the type of research. These exclusions do not apply to unrelated debt-financed income or to certain rents, royalties, interest or annuities received from a controlled organization. An organization is controlled if the controlling organization owns (by vote or value) more than 50% of the stock, profits or capital interests, or other beneficial interests. In general, the term “debt-financed property” means any property held to produce income (including gain from its disposition) for which there is an acquisition indebtedness at any time during the tax year (or during the 12-month period before the date of the property's disposal, if it was disposed of during the tax year). It includes rental real estate, tangible personal property, and corporate stock. Generally, investment income that would otherwise be excluded from an exempt organization's unrelated business taxable income must be included to the extent it is derived from debt-financed property. The amount of income included is proportionate to the debt on the property. Entrepreneurs with social goals must consider many factors in determining the appropriate structure – whether it involves a nonprofit organization, a for-profit entity (including the so-called hybrid entities — benefit corporations, social purpose corporations, and L3Cs — and Certified B Corps), or both. Understanding the different forms and utilizing the appropriate ones may be critical in the implementation of the social/business plan. A benefit corporation is a relatively new corporate form allowing for-profit entities to pursue social and environmental goals along with the traditional objective of maximizing profits. The benefit corporation movement grew out of the business community – where social entrepreneurs felt that the traditional corporate forms did not allow them to incorporate their social values into their businesses. The conventional wisdom has long been that maximizing shareholder value is synonymous with the board’s duty to act in the best interest of the corporation, regardless of the impact of the board’s decisions on employees, the environment, customers or the public in general. The benefit corporation movement questions this fundamental assumption, and in fact, advocates that considering the interests of all stakeholders (by considering profits, people and the planet) is in the best interest of the corporation. Perhaps most important, laws authorizing benefit corporations provide corporate directors and officers protection from shareholder lawsuits if they choose to prioritize people and the environment over profits. Purpose: A benefit corporation must have a purpose of creating a general public benefit, which is defined as having a material positive impact on society and the environment, taken as a whole, from the business and operations of a benefit corporation. Accountability: When making decisions, members of the board of directors and officers are required to consider the effects of their decisions on shareholders, workers, suppliers, customers, the community and society at large, the local and global environment, and the short and long-term interests of the corporation. Transparency: A benefit corporation is required to annually report on its environmental and social performance using independent third-party standards. One or more charitable or public purpose activities that a nonprofit public benefit corporation is authorized to carry out. The social purpose corporation’s employees, suppliers, customers, and creditors. Any type of for-profit company structure, including a sole proprietorship, partnership, or corporation, can apply to B Lab to be a Certified B Corp. To apply, the company must complete the B Impact Assessment Survey, which measures social and environmental impact, and score at least 80/200 points. The applicant will also be required to sign a Term Sheet and Declaration of Independence. Additionally, if the applicant is a corporation or limited liability company, it may also need to amend its governing documents to include the proper legal framework so that the company considers the impact of its decisions not only on shareholders but also its employees, customers, suppliers, community, and the environment. Certification is for a two-year term and subject to an annual certification fee ranging from $500 – $50,000 annually (based on the Certified B Corp’s annual sales). It's important to note that a Certified B Corp is very different from a benefit corporation though a company can be both. See What it means to be a “B”: B Corp v. Benefit Corporation. For a deeper dive, read Social Enterprises: Tax Implications for Nonprofits. NEO Senior Counsel Erin Bradrick wrote this article about the Queens Library scandal. The story of Galante’s purported excessive spending habits while serving as the Queens Library’s president and CEO serves as a good reminder of the necessity of strong governance and appropriate oversight within nonprofits. Moreover, it demonstrates the importance of developing, and actually enforcing, appropriate policies related to the organization’s activities, including possibly a spending or credit card policy. provisions to assure that expenditures further exempt purposes. Violations of these provisions give rise to taxes and penalties against the private foundation and, in some cases, its managers, its substantial contributors, and certain related persons. This makes it all the more important for leaders of private foundations to understand the applicable rules. Note that this article focuses on private foundations and refers to them generally as "foundations." Community foundations generally qualify as public charities, which are subject to some different sets of rules. A foundation must annually distribute a minimum amount for grants and its direct charitable activities (including reasonable and necessary administrative expenses and program related investments). The minimum distributable amount is generally expressed as 5% of the foundation’s net investment assets (i.e., those assets not used, or held for use, directly in carrying out the foundation’s exempt purpose). A foundation has 12 months after the tax year in question to satisfy the minimum distribution requirement. The purpose behind this mandatory payout is to ensure foundations are actively funding charitable programs and not simply hoarding charitable funds. Most private foundations engage in grantmaking, making it important for their leaders to be aware of the rules and best practices associated with making grants with due care in a strategic manner. To be compliant, grants must be made in furtherance of the foundation's specific exempt purpose, and leaders should review the governing documents (e.g., articles of incorporation and bylaws) to ensure that this is the case. Further, grants must be made in a manner that does not produce a prohibited private benefit. This requirement is often difficult to assess when grants are being made to individuals or to for-profit social enterprises. A private benefit may be permissible if it is incidental, quantitatively and qualitatively, to furthering the foundation's exempt purpose. Grants to for-profits as well as to other private foundations will require expenditure responsibility ("ER"). ER refers to the adequate procedures observed by a foundation to see that the grant is spent only for the purpose for which it is made, to obtain full and complete reports from the grantee on how the funds are spent, and to make full and detailed reports on the expenditures to the IRS. Grants may not be earmarked for lobbying because private foundations, unlike public charities, are generally not permitted to lobby, except in certain "self-defense" matters. However, this does not mean that grants must contain a restriction that prohibits their use in lobbying. Foundations may provide general support grants to organizations that lobby and even for a specific project that has a lobbying component, so long as the grant amount does not exceed the budgeted non-lobbying expenses for such project. Grants to foreign organizations raise additional requirements and concerns. Such grants will be considered taxable expenditures (subject to a penalty tax) unless the foundation either exercises expenditure responsibility or makes an equivalency determination, each of which follows a set of formal procedures. In addition, a foundation should take reasonable steps to ensure that its grants are not used to (i) conduct or support terrorist activity, (ii) support individuals or entities identified as terrorists, (iii) support persons or organizations listed on the Specially Designated Nationals and Blocked Persons list (the "SDN List") maintained by the Office of Foreign Assets Control of the United States Department of Treasury (“OFAC”) and otherwise is not subject to economic or trade sanctions as administered by OFAC, (iv) conduct or support money laundering, or (v) make corrupt payments to government officials. Typically, a foundation's board approves a slate of grants vetted by its officers or staff. However, an executive and/or program officers may also be delegated with the authority to make a limited amount of discretionary grants. Such delegated authority and the appropriate limitations should be set by the board and codified in policy with reasonable care. A grantmaking policy should provide details about the selection process, information required from a prospective grantee in a proposal or application or otherwise to be reviewed by the foundation in advance of approval, obligations and requirements for grantees, and follow-up requirements for the foundation in overseeing the grant. A grant agreement should specify the grant purposes, require the grantee to use the grant consistent with the grant purposes, subject the grantee to returning misused funds, and complete and submit written grant reports that account for how the grant was used and what impact the grant had in advancing the grant purposes. The form of grant agreement may vary depending on the nature of the grant and the grantee (e.g., public charity, for-profit organization, international NGO). agreement by a private foundation to make any payment of money or other property to a government official, other than an agreement to employ such individual for any period after the termination of his government service if such individual is terminating his government service within a 90-day period. Influencing legislation or taking part in political campaigns on behalf of candidates is not a purpose. Investments in nonprofit organizations combating community deterioration. PRIs are exempt from excise taxes that apply to jeopardizing investments and, as noted above, are qualifying distributions for purposes of meeting the minimum distribution requirement. They are also excluded from the foundation’s investment base in calculating the minimum distribution required. PRIs are a powerful, but underutilized tool, for foundations to effectively recycle the power of their capital. For example, in lieu of making a grant, a foundation can make an interest-free loan to a charity to allow it to launch a nonprofit social venture and later have it paid back so the foundation can reuse the funds to make another PRI. By providing charities with access to capital that might otherwise be unavailable to them, particularly when under favorable terms not available in traditional commercial financing, a foundation can empower charities to be more effective and efficient at advancing their missions. This is not to suggest that PRIs should replace grants. Each has its best set of uses. While a mission-related investment ("MRI") is not currently defined by federal tax law, it is generally considered to be an investment for both a financial return and a social impact return (more specifically, one that advances the particular mission of the investor). In some cases, there may be no need to balance those potentially competing concerns. But in many cases, the investor will need to balance at least short-term financial return with the social impact return. Some simple examples of MRIs include a purchase of equity in a company creating jobs in economically disadvantaged communities, a loan to an organization distributing essential resources in developing countries, and an investment in an alternative energy company. Under California laws, an endowment fund is "an institutional fund or part thereof that, under the terms of a gift instrument, is not wholly expendable by the institution on a current basis." It may include a fund which a donor has made permanently restricted from expenditure except for income generated by the fund, but such strict restriction is not required by the Uniform Prudent Management of Institutional Funds Act (UPMIFA), which has been adopted in all states except for Pennsylvania. 7. The needs of the charity and the fund to make distributions and preserve capital. In addition, under federal law, a foundation must ensure that it does not violate the jeopardizing investments rule. Jeopardizing investments generally are investments that show a lack of reasonable business care and prudence in providing for the long- and short-term financial needs of the foundation for it to carry out its exempt function. 7. The charity’s investment policy. The board of directors of a nonprofit is ultimately responsible for the activities and affairs of the nonprofit and the exercise of all corporate powers. A board may delegate management of the day-to-day operations to officers, committees, employees, or a management company, but it may not delegate its oversight responsibility or its function to govern. And when it delegates authority and power, the board must do so with reasonable care. For nonprofits with employees, the roles of the board are to direct, oversee, and protect. Direction is provided through mission, vision, and values statements; plans; policies; budgets; specific directives; and responsible leadership. Oversight involves reviews of executive performance, financials, audits, programmatic impact, and compliance. And protection of charitable assets is accomplished by appropriate risk management, including internal controls and insurance, and strategic decision-making. Directors are subject to two fiduciary duties in carrying out their governance responsibilities: the duty of care and the duty of loyalty. Be familiar with general laws applicable to the organization. Meeting a director’s duty of loyalty generally requires acting in good faith and in the best interests of the corporation. The key to meeting this duty is to place the interests of the corporation before the director’s own interests or the interests of another person or entity. A conflict of interest exists when a director has a personal material interest in a proposed transaction to which the corporation may be a party. Conflicts of interest are neither unusual nor generally prohibited under state law. Indeed, transactions involving a conflict of interest may sometimes be in the best interest of the corporation. For example, it may be perfectly appropriate for a board to approve a transaction with a director in which the director is providing the corporation with some good, service or facility at below market rates. Note, however, boards should also consider compliance with federal laws, including those regarding private inurement, private benefit, and either self-dealing (private foundations) or excess benefit transactions (public charities), in approving such transactions. From a legal perspective, it is often the manner in which conflicts of interest (even ones that are favorable to the corporation) are handled by the interested director and the board that may determine whether the director’s duty of loyalty has been breached and whether the transaction may be rendered void. It should be noted, however, that transactions involving even a perceived conflict of interest might subject the interested director and the corporation to a serious loss in reputation. Accordingly, corporations should enter into such transactions cautiously where the directors believe that it may be viewed negatively if brought to light by the media. For all these reasons, a conflict of interest policy is highly recommended. Generally, the corporate opportunity doctrine prohibits a director from seizing an opportunity intended for the corporation if: (1) the corporation is financially able to undertake it; (2) it is within the corporation’s line of business and is of practical advantage to the corporation; and (3) the corporation is interested, or has a reasonably expectancy, in the opportunity. Accordingly, a director who, in his or her capacity as a director, learns of a prospective transaction that might be considered a corporate opportunity may find it prudent to first present the opportunity to the board and allow the corporation sufficient time and first right to exploit the opportunity before taking advantage of the transaction in his or her individual capacity. A director should keep the corporation’s private information confidential. In addition, a director should exercise reasonable diligence to help assure that the corporation and all of its agents keep such information confidential. Note that the strategic plans of a corporation may contain confidential information not meant to be disclosed to the general public lest some other person or entity be able to exploit the information to the disadvantage of the corporation. 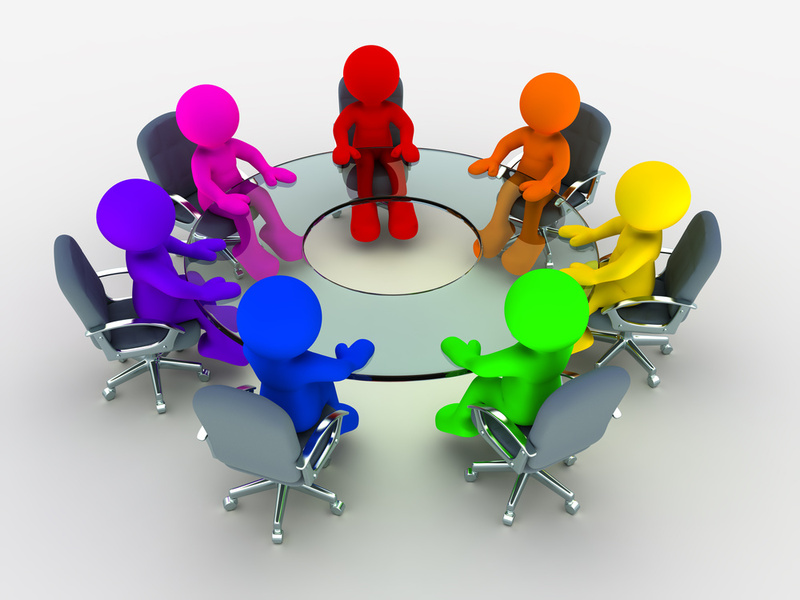 What Issues Should a Nonprofit Board Consider Annually? We drafted an overview of fiscal sponsorship for The Nonprofit Quarterly (1/19/16), discussing the pros and cons. Our senior counsel Erin Bradrick wrote Fiscal Sponsorship: What You Should Know and Why You Should Know It for the American Bar Association (5/4/15), targeting lawyers working with founders of nonprofit projects. We drafted a simple step-by-step guide for starting a California nonprofit public benefit corporation exempt under 501(c)(3) for CalNonprofits. It was made available in Spanish (Como empezar una entidad sin fines de lucro en California) in October 2015.